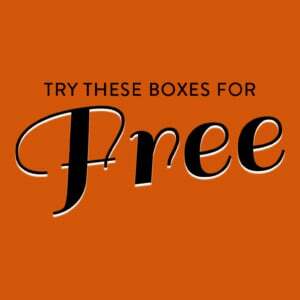 While supplies last, when you sign up for a new subscription, your first shipment will include one free box! Your first box will be the South Africa Box and you will receive the Chile Box for free! We’re excited to share with you the unique flavors of South Africa by showing you how to have your very own braai – complete with recipes created by Chef Nti Ramaboa using the products from your box. Nthabiseng Nti Ramaboa is affectionately known as “Chef Nti,” and her talent for creating delicious dishes and all-things-delectable has rapidly made her a household name. Her food blog, “P.S. I Cooked This,” is inspired by a real, genuine love and passion for both home-cooked meals and fine dining experiences. Chef Nti is also a fashion designer, blogger, producer and personable master of ceremonies. She currently hosts eTV’s “The Perfect Ace,” is a frequent live guest chef on eTV’s morning show “Sunrise,” and is regularly sought out by local and international celebrities to cater at star-studded events. The chillies for this spicy peri peri sauce are hand-picked in the early morning in Fynbos Fine Food’s chili fields, and their sauces are bottled in their own kitchens. Peri peri is a must-have for spicy food lovers. 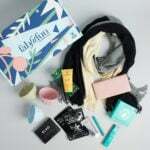 Awesome gift box to try out and Yeah I would also love to give it a shot once. DO NOT subscribe to this box! This company can’t even pay its suppliers. Boxes ship months late, if at all. Box quality has been going steadily downhill, and the most recent box (Canada) was worth $15-$20 tops and was sent in a cheap box. Items arrived damaged. They do not answer the phone anymore, and have disabled comments on IG. See their FB comments for more. I enjoyed the items in the box, when they did arrive. I cancelled due to their lack of customer service and lack of reliability. 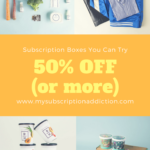 They will charge you every month like clockwork, and you could be waiting months for the first box, despite having charges for several months building up on your credit card. I used to work for a mail-order company, and we never charged a customer’s card until we were ready to ship and could give them tracking. TTW should do that. They are being irresponsible and losing customers and good will. I’ve generally had good experiences with TTW and I have enjoyed my boxes, but I will say that they had a lot of issues over the last few months. Around the time they merged with Hampton’s Lane (for which I received no communication), they also changed shipping companies and that resulted in some shipping delays. They have been catching up (I received my August box earlier in October and my September box last week with my October box still yet to ship). I did have to reach out to them a few times (especially after I went two months without a box) and they explained the shipping warehouse change, but didn’t really proactively reach out to customers. I’m reserving judgement going forward, hoping that they’re past the rough spot now. It’s surprising to me that others have had such bad experiences with this company. I’ve been subscribing for two years and it’s been a consistently positive experience. I always contact CS via Facebook and they get back to me pretty fast. All of these comments are exactly why I appreciate MSA and its community of readers so much! Had bad experience with them too. Waited 2 months for my first box to arrive and they tried to charge me for the second month before the first one arrives. Still haven’t received my free box. Same story here. I ordered in July. Haven’t received a single box. Kept getting “shipping will be next month–first late August, then September, then October. They finally cancelled my account after multiple emails but haven’t refunded me my payment yet. I have filed a dispute with my cc company. The cc company gave the phone number to call (since Try the World doesn’t have one listed online) and it was a mortage company–beyond shady. DO NOT RECOMMEND subscribing to this one. I had waited over a month and an half before I just cancelled and had to wait another 2 weeks for a refund. This company is beyond shady. Every time I emailed for an ETA for the gift I sent, I would get the same canned response.